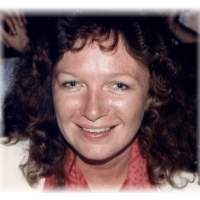 Irene P. Yeski, 61, of Plainville, passed away on Friday March 29, 2019. She was born on December 11, 1957 in Southington, the daughter of Edward Pelkey and the late Frances Kolibczynski Pelkey. In addition to her father, Irene is survived by her husband of 34 years, Frederick Yeski; her sisters Barbara Gardner and Elizabeth Day; her brother William Pelkey and many aunts, cousins, nieces, nephews and her dog Lily. Calling hours will be held on Wednesday April 3, 2019 at O’Brien Funeral Home, 24 Lincoln Ave., Forestville/Bristol from 4PM until 7PM. A graveside service will be held on Thursday April 4, 2019 at 10AM directly at West Cemetery, North Washington St., Plainville.